Did you know there are pages and pages on the Internet explaining how to boil an egg? The Burrito & I are still maintaining our healthy lifestyle (see, Absence makes the liver…happier? ) and I wanted to make some hard-boiled eggs for snacking on and to make Avocado Toast, a recipe from Bob Harper’s new book, Skinny Meals, Everything you need to Lose Weight-Fast! We cook together almost every night, so I am no stranger in the kitchen. But, it’s been a while since I’ve made hard-boiled eggs and I just couldn’t remember how long they were supposed to boil. So, of course, I Googled it. And I was kinda shocked at the result. Pages upon pages about how to cook hard-boiled eggs, how to cook them in the oven, how to peel them, how to cook them at a high altitude, how to make them in the microwave, and the overall top results: How To Make Perfect Hard Boiled eggs. I mean, I had no idea that there was such a demand for perfect hard-boiled eggs. Unless you are Martha Stewart or Oprah’s chef, I didn’t know making flawless eggs was such a sizeable concern. Needless to say, I guess a lot of people do care about this, so I figured, what the hell? 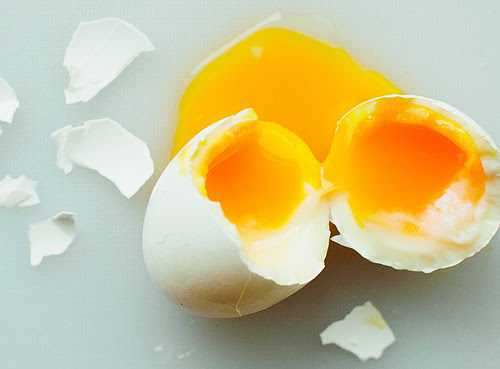 Let’s make some perfect hard-boiled eggs. What I remembered about making hard-boiled eggs was to boil them for about ten minutes, submerge them in cold water and let them sit for a bit. Now, no offense to this site, but holy crap. A little too wordy for me. I felt like I was looking at a recipe for a fancy pants soufflé. Not to mention, I just didn’t believe the recipe. It says to put the eggs in the boiling water for one minute and then let them cool for 12 minutes. Going by what I knew of boiling eggs, I could not wrap my head around reversing the system of boiling longer and cooling less. I am learning new cooking methods and recipes by cooking with The Burrito all the time, so I am open to learning new techniques. But, I went with my gut this time. I decided to just go with tradition and boil for eight minutes, dunk them in cold water for two minutes and then let them cool for ten minutes. They were perfect. Without any website telling me how to make them differently that I had before. Fancy recipes and innovations aside, the moral of the story is it’s okay in life to go with your gut, stick with what you know, and strive only for your own model of perfection. Photo by: The Craftsy Blog,© Arights reserved.